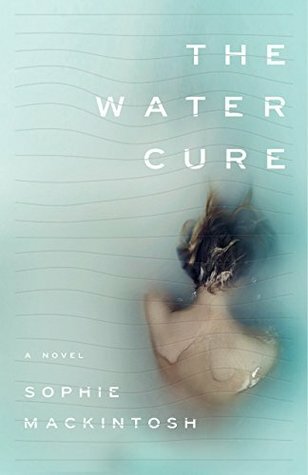 “The Water Cure” is the strange tale of three sisters–Grace, Lia, and Sky–who live in isolation on a remote beach island with their mother and father. At the beginning of the novel, we are told that their father (aptly named ‘King’) has left to get supplies, but after an extended period, has not returned. We learn that the reason why the family lives in isolation is because, many years before, King took them from civilization in order to protect them from a “toxic” outside world. The source of ‘toxicity’ is never explained, and it is unclear throughout the book whether an actual environmental catastrophe has occurred or if its strictly symbolic (i.e., toxic ideas, toxic values, etc). In time, the sisters come to believe that the world beyond their island home is ‘toxic.’ In order to cleanse themselves, their parents perform painful “therapies” and rituals in order to cure them. The “therapy” often takes on the form of physical and emotional abuse, the disturbing details of which are given in each of the sisters’ perspectives. Mother is particularly sadistic; as a result all three of the girls have serious health issues, with Lia predisposed to self-harm. We’re also informed that women visitors used to come to the island a long time ago to ‘cleanse’ themselves of toxicity and male violence, leading the reader to wonder if King is running some kinda weird cult here. Once again, the whole back story behind this is unclear. About mid-way into the book, three strange men wash up on shore. The narrative switches to Lia’s perspective and the bulk of the action takes place over the few days that follow. I won’t give away what happens, other than to say the lack of a narrative back story make for very interesting reading. I did notice that there is a coldness and detachment to the writing here, none of the characters drew me in. I imagine that this is an outgrowth of the ambiguities of the story, of questions left unanswered. I don’t know if I liked it, but the constant wanting to know managed to hold my attention until the end. This novel is being marketed as feminist dystopia, and I don’t know if I agree with that label. ‘Dystopian’ is a hazy label here, because it’s unclear if this book takes place in the future, the present, or the past. I don’t like ‘feminist’ to describe this either, so much of it is so rabidly anti-feminist and anti-woman that for me it was hard to reconcile the character’s actions with any kind of redeeming hope for anything resembling a future. I do recommend this though, if you don’t mind books that are purposely ambiguous or like experimental types of writing.